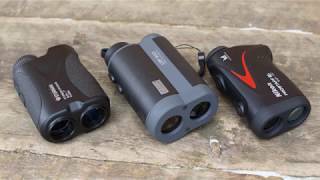 Monocular laser range finder LRF 400 Sturman HR is very light, compact, but accurate instrument for observing and measuring distances to objects at a distance up to 400 meters. The meter measures the visible distance, the angleunder which the object resides and the horizontal distance. 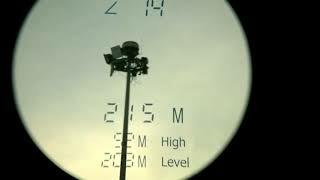 The procedure works like this: when you press the power button the field of view in the eyepiece appear the indications of the LCD display and sighting mark in the form of a small box, hairline-type optical sight to facilitate aiming, ready indicator and measurement mode indicator. Following a short press activates the measurement and the display appears almost immediately the result of the measurement indicates the quality of measurement. The second button on the housing is used to switch modes and units of measure: long press, changes unit of measure meters to yards. Very simple! Sturman rangefinder LRF 400 HR equipped with eyepiece with the possibility of diopter adjustment. max. up to 900 m.
Sturman rangefinder LRF 400 HR should be stored in the case. The storage room should be dry and well ventilated, the recommended temperature is not below -20C. Do not disassemble the rangefinder LRF 400 HR Sturman!